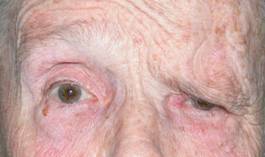 Ptosis is defined as the descent of an anatomical element from its normal position, in this case the eyebrow. It may be unilateral or affect both eyes. The main cause is age. Over time, muscles, skin and fat tissue undergo an aging process that involves laxity and decrese in firmness and tone, which cause decrease in eyebrow height. Another important cause is facial paralysis. 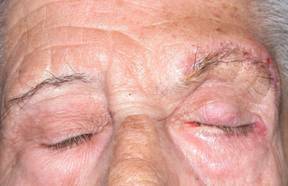 In this disease there is a loss of normal functioning of the muscles of the face and forehead, causing a fall in its entirety. 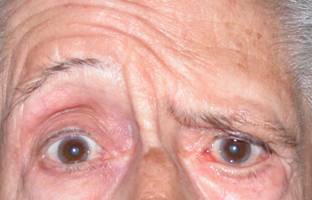 The most striking symptoms are cosmetic, in which the face appears aging and tired. 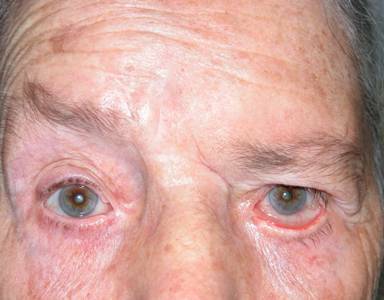 Sometimes it pushes the eyelid and may be responsible for visual field loss. 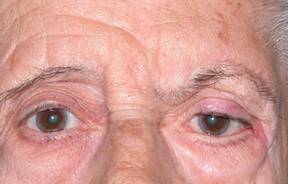 How is eyebrow ptosis treated? The only treatment for a lowered eyebrow is surgery. Multiple techniques can be used to achieve this goal. 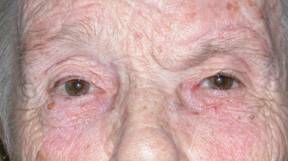 The approach is carried out on the eyebrow itself, eliminating skin, fat and muscle, thereby raising it. It is performed under local anesthesia. Surgery is usually short, about 30 minutes. Upon direct surgery, the incision may be visible for a while and may even be evident later but is concealed eyebrow's follicular bed. The results are usually very satisfactory. The sutures should be kept for a period of at least 10 days to avoid reopening of the wound. 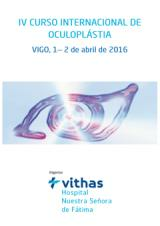 The patient should maintain adequate postoperative care that will be explained by the surgeon in advance. 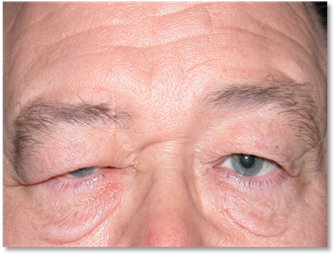 Used leveraging the incision made in blepharoplasty. 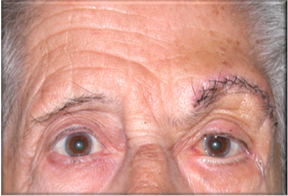 From this position we access the eyebrow from below and raise it, with suture fastening performed at the front. This approach can correct small falls. It is less effective for larger ones. The advantages are the absence of a scar on the eyebrow itself. 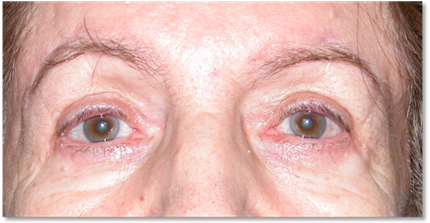 The disadvantages are that it corrects only small defects and can leave a temporary wrinkle above the eyebrow. 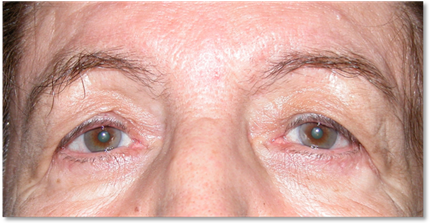 The surgery is performed in addition to blepharoplasty, adding approximately 15 minutes to this type of intervention. Here the eyebrow is accessed from the frontal region, thus hiding the incisions among the hair. From there and with an endoscope and suitable instruments the entire forehead is tunneled under the skin to reach the height of the eyebrow and pull it from there to anchor further up. The main advantage is the absence of scars. 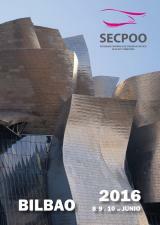 The disadvantages are that more expensive instrumentation is needed, a steeper learning curve and the refusal of patients undergo more aggressive surgery. This type of surgery requires sedation or general anesthesia.